Mike Sullivan volunteering with his daughters at Girard College for the annual Martin Luther King Day of Service. We often spend more time during the work week with our colleagues than we do with our own families. Even so, it’s not always easy to get to know people beyond their busy 9-to-5 roles. Volunteering is a great equalizer. When I’m working shoulder-to-shoulder with fellow associates, our day jobs become irrelevant, and it’s all about the task at hand. 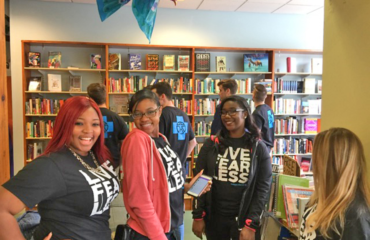 In our Blue Crew T-shirts, we all work toward a common goal: bettering the communities we serve. 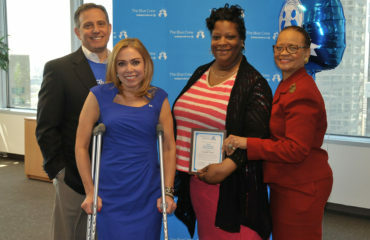 In my three years on the executive leadership team with Independence Health Group, participating with the Blue Crew has been incredibly rewarding. Not only am I able to serve the community, but I feel lucky to have the chance to meet my fellow associates whom I may not have the chance to cross paths with during the workday. Something I love about Blue Crew volunteer events is that I can bring my energy, muscle, and desire to help, but I can look for direction from the associates leading the project, just like the rest of the volunteers. When I show up to a volunteer project, I don’t come with a strategic vision in mind — a welcome break! I can even include my three daughters — 14-year-old twins and an 12-year-old — in many of the Blue Crew projects. Volunteering with my kids serves many purposes: exposing them to new experiences; spending time and bonding with them; and showing by example my passion for helping people and my employer’s dedication to giving back to the community. 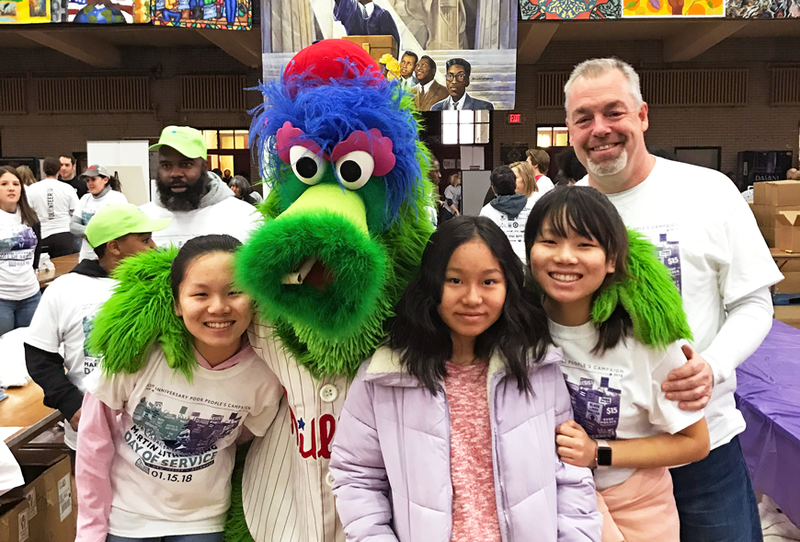 When they actively participate with me in Blue Crew projects, it instills in them pride for the city of Philadelphia and surrounding five-county area — and inspires them to continue volunteering. This year my girls have joined me for several projects, including the annual Martin Luther King Day of Service at Girard College and the Message of Hope project with UPS. While there were some jobs they couldn’t do because of their age, they had a fun day helping with tasks like sorting donations (food, books, supplies, clothes), creating dog and cat toys from donated materials for animal shelters, and assembling care bags for people experiencing homelessness. Volunteering isn’t just a great way to bond with your kids; it’s also immensely valuable in the workplace for team building with co-workers. It’s something we encourage for associates, and many departments within the organization coordinate group volunteer events. Their experiences make a big impact in two ways — both on the organization they’re giving their time to and on the team itself. Recently, the executive leadership team spent a day together volunteering with MANNA, preparing and packaging nourishing meals for people struggling with illness. Independence Health Group is a dedicated citizen of its community, and it’s important that senior leaders within the organization continue to demonstrate a commitment to volunteer work. They do this by staying actively involved in the mission of the Blue Crew and working alongside their fellow associates — not just by writing checks or giving kudos for a job well done. In the end, it’s the commitment of time that’s given by all our volunteers that is most valued by the organizations we support. Since joining the executive leadership team, I’ve seen firsthand how Independence Health Group is a stalwart in the community when it comes to giving back. 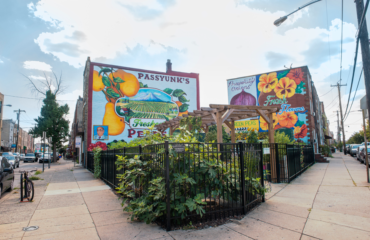 Through this work, we can continually demonstrate to our members how we’re different from other health insurers — we’re committed to the well-being of our neighbors and positively impacting Philadelphia and the five-county area. Mike Sullivan is president and chief executive officer of AmeriHealth Administrators, Inc. and president and senior vice president of diversified businesses for AmeriHealth Insurance Co of NJ (AHNJ), subsidiaries of Independence Blue Cross. In addition to his leadership roles, Mr. Sullivan has served on the boards of the National Kidney Foundation of the Alleghenies, the New Hazlett Theater, Pittsburgh Parks Conservancy, and Highmark Blue Cross Blue Shield West Virginia. He is also a member of the 2018 Heart Walk Executive Leadership Team for the American Heart Association.